Since its last update in 2015, Mahindra Thar has gone without a makeover. 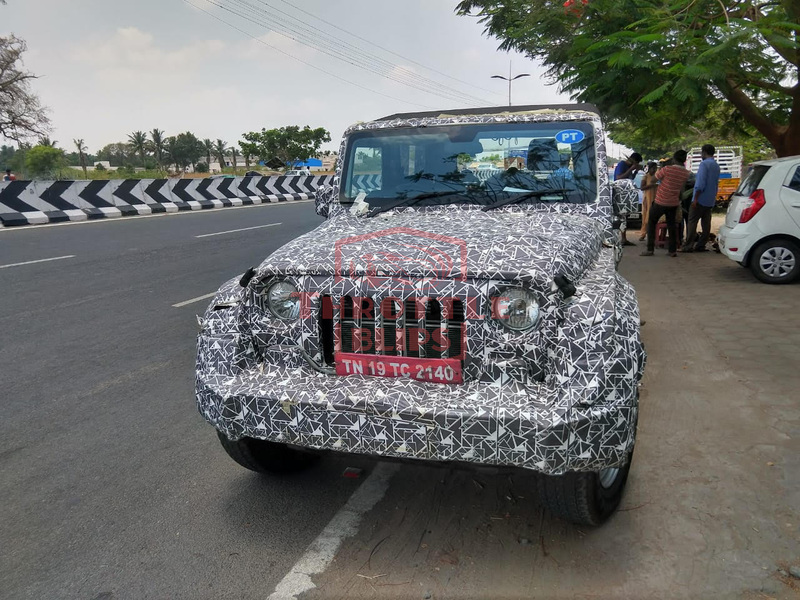 New Mahindra Thar testing points possibly to a new-gen version. The Mahindra Thar being tested is appropriately camouflaged but does offer some insight to changes being incorporated. Alongwith compliance to 2020 BSVI emission norms, a new Thar would also need to be crash-test worthy as per Bharat NCAP mandates that will be come into effected later in 2019. New Mahindra Thar wears a seemingly lower shoulder line than the current gen model. This change paves the way for a larger window setup, which improves visibility, and brings in the element of spaciousness. That coupled with a reworked interior makes the new Mahindra Thar on test a lot more appealing to look at. In bringing off-roading enthusiasts more convenience, the instrument cluster looks reworked, including the steering wheel. Steering mounted audio controls, reworked AC vent and control setup, and what seems a new console design will add to creature comforts. There is a new centre console, new AC control and AC vents. 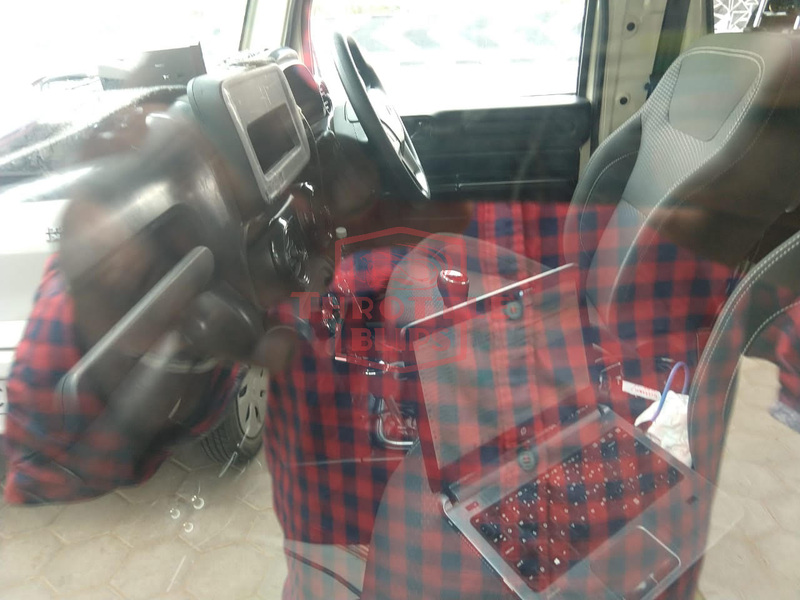 The console setup could make way for updated instrumentation, and improved telematics. A glimpse of the front seats point to improved comfort and support. While interior changes seem all encompassing, exterior variations appear not to be a complete rehaul. Sticking to it’s very Jeep like front, the front vertical slats grille and headlights look familiar. Front and rear bumper are reworked, enhancing the vehicle’s off-road appeal as well as improving pedestrian safety. New Mahindra Thar already has an imposing road presence, and upholds the wide-body stance with flared fender arches. Side body fibre panels and a new soft-top should complete its exterior look. Apart from exterior and interior revisions, changes are warranted where mechanicals are concerned. It would need to be be safer. So while driver assist systems and electrical inputs will be necessary, to meet safety requirements, its ladder frame chassis too would be revised. A new clean and efficient BSVI compliant engine will be something to look forward to. As with revisions, new Mahindra Thar will come it at a higher price point.